Tirez le meilleur parti du spectacle. C’est magnifique! 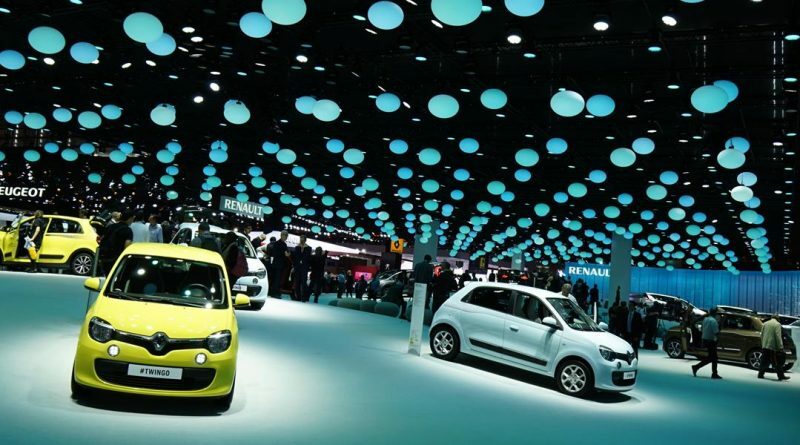 This year’s Paris Motor Show will be open to the public from 1st to 16th October. For car enthusiasts that means there are 16 days, three weekends and four evenings where you have an excellent opportunity to see up close all the latest models from 200 marques representing 18 countries, together in one show. Eurostar runs 14 trains a day out of London that transport you in comfort directly to the Gare du Nord station in the centre of Paris. A 45 minute Metro journey will then see you right at the gates of the show. All standards of seating are easily bookable in advance via the Eurostar website and, at the time of writing, £58 return tickets are still available. Direct flights are available to Paris’ main airport, Charles De Gaulle, from virtually every regional airport in the UK. Cheap flights are available from the budget carriers from as little as £60 return, while even British Airways will get you there and back from Heathrow from just £85. From there it’s again a simple Metro ride to the show. Flights to Orly, the smaller of Paris’ two airports, are available from Luton and Edinburgh with Transavia, while FlyBe will get you there from Southampton. A direct bus is available from Orly to the show. The nearest Metro stations are Porte de Versailles (Metro line 12) or Station Balard (Metro line 8). A block of ten Metro tickets can be purchased at the Eurostar station for £16, avoiding the queues at the Paris end. These have an unlimited life so any tickets left over can be saved for another trip. For those taking the bus, aim for Arret Porte de Versailles. From central Paris that is on the route for numbers 28 and 80. Entrance to the show is just €16 (currently about £14) for an adult ticket, while adding a child brings the cost to €25 (£22). The show opens to the public on Saturday 1 October, and is open from 10:00am to 8:00pm every day, with late night opening until 10.00pm on Thursdays and Fridays. Sunday 16 October is the final day. Once at the entrance the prime positions are unsurprisingly given to the French manufacturers in Pavilion One (Renault, Citroen and Peugeot) with the rest of the show being contained within seven separate large pavilions. As well every major car manufacturer having their own stands, the show contains exhibitions, motoring accessories, boutiques, toys, models and a vast array of merchandise available to purchase. Children are catered for with many attractions on the stands, while a feature of this show is the many branded motoring related items such as pens, T-shirts and hats given out on the individual stands. There’s also special live shows presented at specific times each day that will entertain everybody. The Paris Show always includes a special exhibition. This year the exhibition will bring together the cars that have starred in films, cult TV shows and video games, with more than 50 iconic vehicles, contemporary as well as historic, on display. 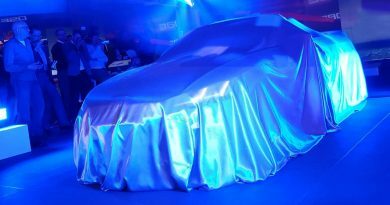 The show pavilions will be overflowing with the latest new models, exciting concepts and the cars you can buy in the UK – the show publicity often centres on the launches at the show but forgets that most of the cars revealed during 2016 will be on the stands. This is your chance to see up close (and even sit in) all these new cars for the first time. A big international motor show provides an opportunity to directly compare your choice of car and to see the facelift or next generation concept before you commit to buy. Paris will see the launch of a batch of brand new SUVs from the Volkswagen group – the Skoda Kodiaq, Audi Q2 and Q5 – as well as the recently launched Seat Ateca and Volkswagen Tiguan. Alfa Romeo is also expected to launch its first SUV, the Stelvio. Sports car fans will be able to see the new Porsche 718 Boxster and Cayman, as well as the second generation Panamera. For a real super car showstopper, Ferrari is expected to present the La Ferrari Spider, but don’t expect to able to get too close to it through the crowds. Being Paris, you can be sure the French manufacturers will want to get your attention. Citroen will have its all-new C3, but don’t miss the latest designer influenced limited editions – Renault Twingo ‘The Colour Run’, DS3 ‘Givenchy Le Make Up’ and the Citroen C4 Cautus ‘Rip Curl’. Many makes will have next generation 2017 models on display. Look out for the Nissan Micra, Honda Civic, Land Rover Discovery, Hyundai I30, Mini Countryman and Peugeot 3008. Hand your coat or jacket in at the entrance to avoid carrying it around the show. You’d be surprised just how heavy and cumbersome it can become. Print a copy of the pavilion halls layout out in advance from the show web site so you can make a plan of the car stands you really want to see. Don’t forget to bring your driving licence so you can book a test drive of one of the latest electric/hybrid cars in Pavilion 3. It is possible to take an early flight or Eurostar train, see the show, and return home in a day, saving you the cost of a hotel room in Paris. If you find a cheap flight to Paris, double-check which Paris airport you’re flying into. Paris-Beauvais is more than 60 miles from the show halls!.